Any job worth doing requires a collection of specialized tools and attracting your soulmate is no exception. 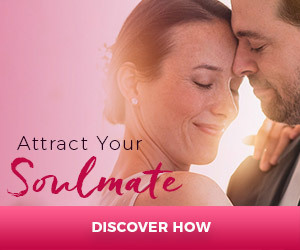 As perfect partners to my book, The Soulmate Secret, I have found many other resources to assist you with your journey. These tools include a visioning video filled with powerful affirmations, a power life script created and delivered for you by NY Times Best Selling Author Peggy McColl, a love mandala you color with the traits and values you desire in a soulmate, a special lesson from The Soulmate Online Course (through Daily Om), and a series of Feelingizations™ audios with music by Jeanne Fitzsimmons. Fill in your email address below to receive a link to the Feelingizations™ series of audios and begin enjoying your gifts today. Note: If you have a need to unsubscribe from the newsletter, use the unsubscribe link at the bottom of the newsletter you receive in your mailbox. I am encouraged by the story of your mother-in-law as I am eighty myself! I’ve really been enjoying your series “Attract your Soulmate” Series. It seems I need to clear some blocks before I do your series as I answered your quiz and got alot of Cs’. I was looking at the beautiful picture of you and Brian and in looking at Brian’s face, I started to cry. I don’t know if somehow my heart opened, so I see the tears as positive. I am still going out into the world thinking alot of negative thoughts, so I really need to becoming more committed to “falling in love with me”. Thanks So Much for this wonderful series as I now have more awareness. iam reading this book soulmate secret and feeling amazing. iam with my soulmate. thank you arielle ford for this wonderful book. now iam understanding life more and enjoying it to the epitome. thank you thank you thank you so much. hola me meti a tu pagina en busca de los audios como buscarlos o donde encontrarlos? Hi Arielle, I’m trying to get your free Feelingzations. I entered in my email address to get a link for them but I didn’t get it. Can you help me out? I am in the process of reading the soulmate secret and I am in the chapter that talks about fellingazations. I entered my email address to get the feelingizations audios but I did not receive anything. I don’t want to read along too much without using the tools suggested in the book. Can you please help me?